Over 40 years divorce law experience. Lower hourly rates by comparison with most solicitors of similar status and level of expertise in the central London area. 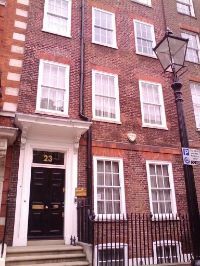 Our specialist divorce law firm was established in London in 1991 by David du Pré, a solicitor with over four decades of practical experience of family law. Admitted as a Solicitor of the Supreme Court of England and Wales in 1980 after practising as a barrister, David is also a member of "Resolution" (formerly known as the Solicitors Family Law Association) and of the "International Society of Family Law". Telephone us now for more details about the services we offer and our competitive fees or complete our contact form. David is assisted by his Associate, Gaye Osborne, who is also a member of Resolution and has many years of practical experience behind her. David and Gaye's hourly rates are very competitive when compared with hourly rates for other senior solicitors of similar status and experience in the central London area where our offices are located; we offer a reduced fixed fee for the initial hour of advice with no obligation to proceed with us thereafter. However, we are unable to accept clients who may require public funding/legal aid. Since we started out, we have established a high reputation within the legal profession for divorce and family law and as a firm to come to for efficient and effective support. 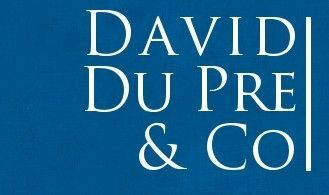 At David du Pré & Co, we pride ourselves on offering a supportive and personal service to each and every client. We understand how distressing this time in your life can be, and we strive to be sensitive, professional and friendly at all times. If you would like to discuss your problem with one of our experienced solicitors pick up the phone and call us on 0800 025 7220. Alternatively, you can fill in the contact form here to make an enquiry.